At long last, I can finally say what the giant cat is! The Nian is a monster from Chinese legends that is heavily-associated with the Spring Festival/New Year. 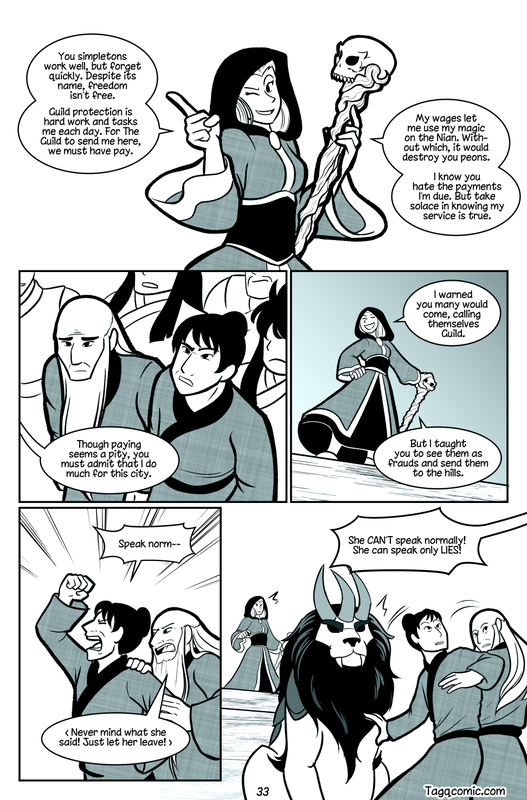 Despite being part of China’s most famous holiday, it doesn’t seem to be very well-known to the wider world; Chynna and I didn’t even know the Nian existed until we wrote this comic. As luck would have it, this was the find of the century, because the Nian gives us exactly what we needed for the East-Meets-West theme we were going for in this comic! We hope you enjoy the Nian as much as we do…because the people of Kwong Zan sure don’t. Wait…Lies? Why would a Hero speak lies? No, no, something’s not right here. I hope our Hero can settle all of this! NEW PAGES POSTED EVERY SATURDAY!